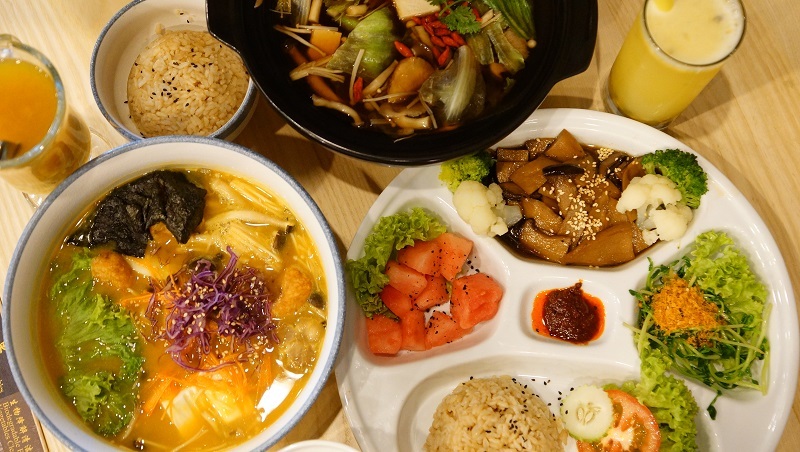 Where can you get healthy food in Singapore? Considering the amazing spectrum of cuisines available in thousands of hawker centers, food courts, restaurants and eating places in Singapore, it should not be too difficult to find isn’t it? Most cuisines, even those at hawker centers offer healthy choices and it is up to you to request for less salt or pick the healthier dishes and eat the more unhealthy choices in moderation. Besides shopping, eating is one of Singaporean’s favorite pastimes. Singaporeans just love to look for new places and new cuisines to try. Besides cuisines from the four major racial groups, you can find various international cuisines including those from Mexico, Mongolia, Russia and many other countries. However, nothing beats the hawker centers if you want to try some of your favorite local dishes. Although many hawker fares are not considered healthy as many of them are deep fried or use MSG, salt and tons of oil, there are some hawker food you can choose in your neighborhood hawker center that can give you the nutrients your body needs to stay healthy. 1. Yong Tau Foo This hawker fare offers you many healthy choices because you can pick you own healthy ingredients such as tofu, green leafy vegetables, broccoli and other cruciferous vegetables and fish paste. Try to avoid choosing ingredients that are deep fried as they may contain high calories. Choose the clear soup version rather than the laksa or curry soup base. A bowl of Yong Tau Foo with good mix of fresh vegetables and tofu makes a nutritious and filling meal. Total energy intake is about 165 calories per bowl. 2. Fishball Kway Teow Noodle Fishball kway teow noodle, fishball mee noodle or fishball bee hoon (vermicelli) has about 3g of fat per serving as compared to 12g of fat for minced meat noodles. That’s 4 times less fat and therefore fishball noodle makes a healthy choice. Bee Hoon also has low Glycemic Index (GI) which means you will not feel hungry for longer period. Remember to always ask for no pork, no lard and less oils when making your order. Total energy intake per bowl is about 370 calories. 3. Sliced Fish Soup There are basically 2 variety of fish soups fresh fish slices and fried fish choose the former as it is healthier. A typical bowl of fish soup usually comes with serving of tomatoes, tofu cubes and seaweed in clear broth. This makes fish soup a good healthy food choice that is high in proteins and low in fats. Remember to ask that no milk be added to the soup. You can order a bowl of sliced fish soup with or without noodles or rice. Take without noodle if you want lower calories. Sliced fish soup is a healthier option than seafood soup as the latter has higher calories. Total energy intake without noodles or rice is about 180 calories per bowl. 4. Herbal Soup There are quite a few variety of nutritious herbal soups you can choose from, ranging from herbal chicken soup, herbal ginseng, watercress with pork rib and lotus root. You may want to order some side dishes to complement your soup such as vegetables or brown rice. 1. Go for soupy version and avoid the deep fried version. 2. Ask for no pork, no lard, less salt and less oil. 3. Ask for more vegetables to be used or added. 4. Go for steamed and boiled version. Be it Asian or international cuisine, each has their fair share of healthy fare and unhealthy stuff. Having said that, the Asian cuisine you get in Singapore are probably more authentic, with more variety of delicious dishes cooked in healthier ways compared to the greasy version in other countries. The next time you dine out, besides ordering healthier food version, ask about what ingredients are being used to cook your meals and request for lighter, healthier version. You’ll be surprised many eating places are able to accommodate your special request, as long as they are reasonable. What other healthy food in Singapore did you order when you eat out recently?